Stamford, Connecticut, U.S.A. --- Father Zhao KeXun (趙克勛), approximately 75 years old, an underground Roman Catholic priest and administrator in charge of the Diocese of Xuanhua (宣化), Hebei (河北), was forcibly abducted by Chinese government security personnel in the morning of March 30, 2005. He was arrested by the Chinese government when he was on his way back to his home from Shadifang (沙地房) where he celebrated a Holy Mass in a private home. Shadifang is approximately 5 kilometers from Father Zhao's home in Zhaijiazhuang (瞿家庄). Arrested with Father Zhao was another Catholic accompanying him, but he was released shortly thereafter. We do not know where Father Zhao is detained. 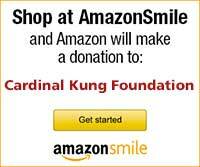 Joseph Kung, the President of the Cardinal Kung Foundation, said: "A little more than 3 months ago in December 2004, the Chinese government authority arrested the 84 years old Bishop Zhao ZhenDong, the underground Roman Catholic Bishop of Xuanjua. 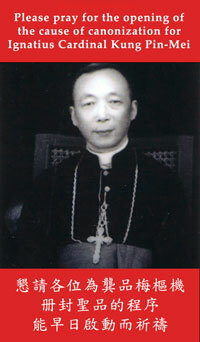 Now, the Authority has arrested Bishop Zhao's administrator, Father Zhao KeXun. In the meantime, 33 Roman Catholic religious in 7 dioceses are known to be incarcerated by the Chinese Government in Hebei alone: 5 Roman Catholic bishops and 24 priests are currently imprisoned while 4 other bishops are under severe surveillance. Many more are imprisoned in other provinces. This is an indisputable evidence of the Chinese government's systematic effort in an attempt to crush and eradicate the Roman Catholic Church in China even as the Chinese government keeps contradicting itself by stating that its constitution guarantees religious freedom for its citizen. The facts certainly do not speak for the words. I urge the leaders of all the freedom loving countries to take note of these ongoing atrocious persecutions in China and to make the cessation of persecutions of religious believers a TOP priority objective of their foreign policy. In the meantime, I appeal to China once again as per my letter dated March 23 to the Chinese Ambassador to the United States in Washington, D.C. not only to release all the religious prisoners from jail but also to exonerate their criminal charges in order to prove to the world that China does have the policy of religious freedom."